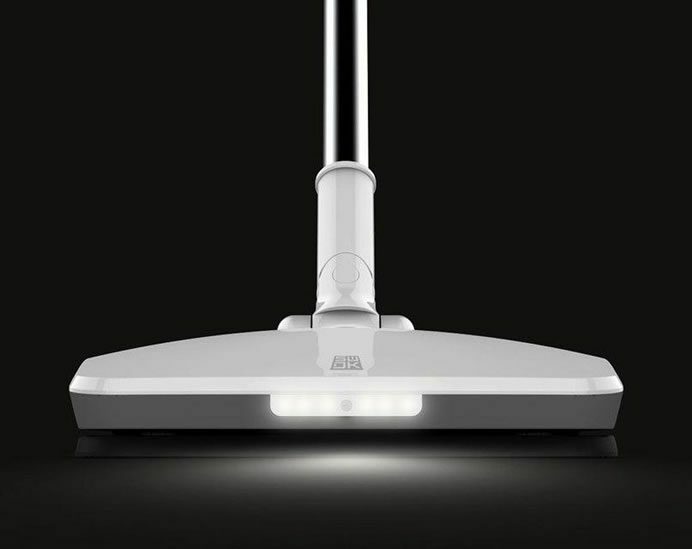 Xiaomi on its crowdfunding platform today announced the launch of a new wireless electric mop. The Xiaomi Electric Mop is made of plastic and thanks to a patented technology it simulates manual cleaning (making translational movements with a frequency of up to 1000 times per minute). Cleaning is done by two modules located in the lower part. Even though the mop is made of plastic, it exceeds conventional mop in strength for 3 times. The mop has a liquid atomizer and besides cleaning, it polishes the floor also. 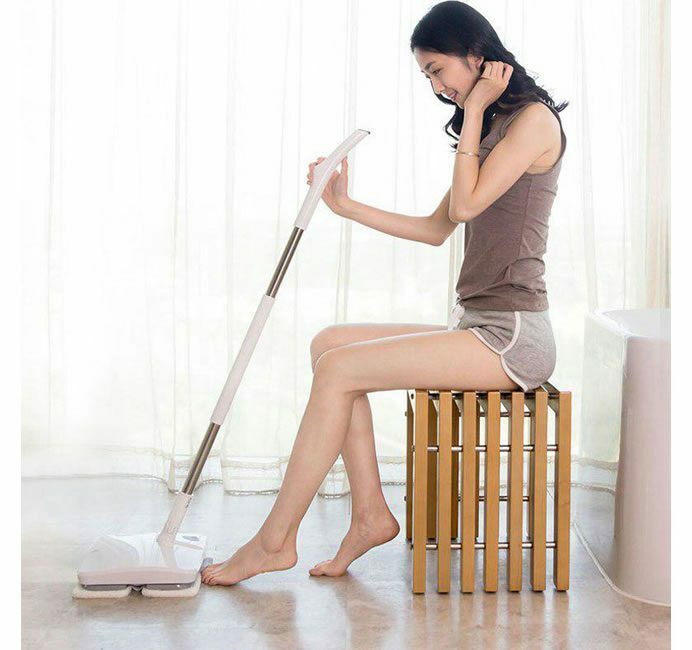 The Xiaomi Electric Mop handle rotates 90 degrees, which allows cleaning in hard-to-reach places, such as under the furniture. The main panel is equipped with a LED flashlight, now every speck of dust under your control! The noise level of this mop is 68 dB, which is no greater than the volume of a normal conversation. A battery charge lasts almost an hour of mop operation – equivalent to 4-5 cleaning in an area of 100 meters. The mop comes with a charge indicator, so user is always aware of when you need to recharge the mop. The Xiaomi Electric Mop comes with three types of nozzles: a standard nozzle in which soft and hard fibers alternate, an ecological thin nozzle made of biodegradable materials, and an electrostatic nozzle like a vacuum cleaner. This nozzle attracts dust and hair (good for pet owners). Nozzles will be available separately also.Delivery of Xiaomi Electric Mop will start on July 22.